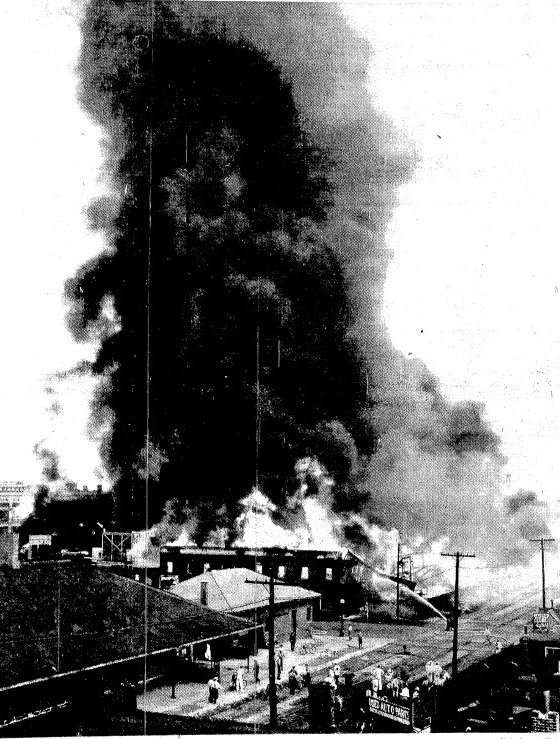 The following list of the most destructive fires in Springfield history was published in the May 3, 1948, Illinois State Journal. The list is based solely on the amount of property damage. Damage estimates are not adjusted for inflation. Preliminary damage estimates (as in The Boston Store fire below) were often much higher than the figures compiled after further investigation. Although the fires that accompanied the race riot of August 1908 were widespread, they were not included in the 1948 list. People who lost property (not all due to fire) in the riot filed claims with the city amounting to $132,103, but final payouts were negotiated down to a total of $36,528. Of the 118 people who received compensation, restaurateur Harry Loper was awarded the largest amount, $7,750 (he had sought $20,000). Original content copyright Sangamon County Historical Society.You are free to republish this content as long as credit is given to the Society. This entry was posted in Buildings, Business, Department stores, Disasters, Fires. Bookmark the permalink. How about church at 5th and Edwards about 1957? John: Good call. That was the First Congregational Church, which was destroyed by a fire on Nov. 12, 1956. It had been built in 1868 and rebuilt, with stone facing on the walls, in 1901. First Congregational built its new church at Bates & Cherry Road after the fire. I’m still working up to the 1950s in my fire compilation (there were a heck of a lot of fires in the first half of the 20th century), but First Congregational will be on the list when I do. Thanks for the note.